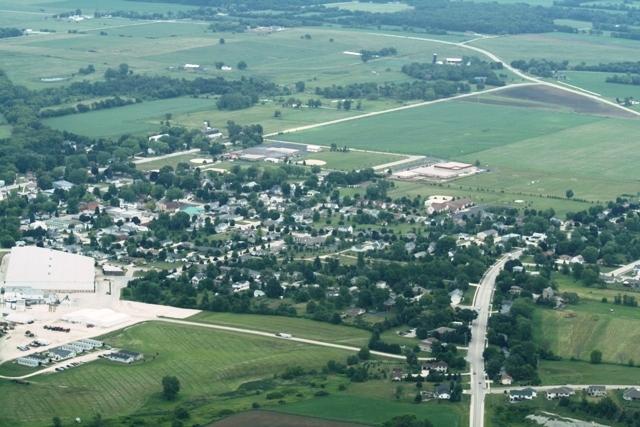 The Village of Oakfield was originally all part of the Town of Oakfield. The first settler was Russell Wilkinson in 1840. Prior to this there were various Indian tribes that inhabited the area such as the Winnebago, Potawatomi, Kickapoo, and Mascoutin, who all belonged to the Woodland Indians. Clovis spear points have been found in the area from the early Palco Indians who lived here more than 12,000 years ago. Most of the area roads follow Indian trails from Green Bay to Milwaukee and Chicago. The trail was called the Chicago Trail and in the town follows Highway B from Oakfield south. It runs along the bottom of the Ledge and just to the east of Horicon Marsh. By 1846 there were enough settlers to warrant a separate township which was called Lime because of the limestone on the “Ledge”. In 1847, 32 votes were cast at the first “Town” meeting and the name was changed to Oakfield because of the many oak trees and because the area resembled that area where some of the settlers came from in Genesee County, New York which was also called Oakfield. The village was incorporated in 1903. Before this all residents voted at the Town Hall in Oak Center. 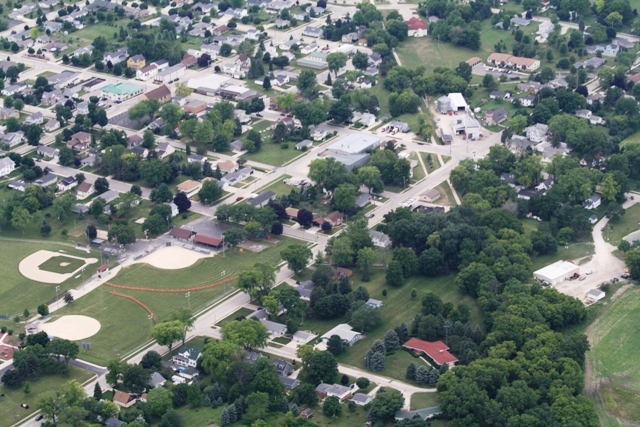 The population of the Village of Oakfield is now 1075 with 278 housing units. The main businesses are a canning factory, feed mill, insurance company, service station, convenience store, 2 taverns/restaurants, 2 manufacturing companies, and a bank. The village has a library, community center, fire department and a school system. There are 3 churches located in the village.